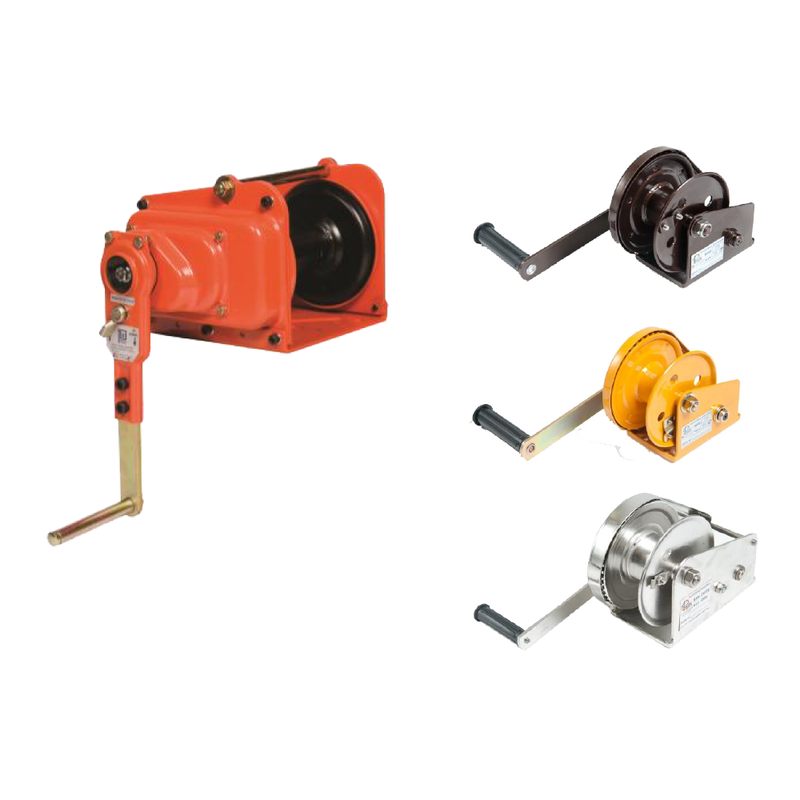 Brake Winches are compact, lightweight and a cost-effective solution for a variety of applications. They can be used for both pulling and lifting purposes and comply to the Australian Standards AS1418.2 when correctly fitted with the approved wire rope and fittings. They can be supplied with a powder-coated, a marine-coated corrosion resistant finish or in stainless steel, depending on your application. OPC Kylan Coating is a new and unique process which uses baked-on, non-toxic, environmentally friendly, organic, macromolecular monomer coating compound. This, combined with aluminium and zinc, provides a highly corrosion resistant coating on steel. By using OPC Kylan Coating with stainless steel fasteners and fittings on all of the winches, this unique range of corrosion resistant winches can stand up to over 1000 hours of salt spray testing. • Positive Weston-style brake will hold the load in any position. • Compact, lightweight and rugged construction. • Mechanical components enclosed for protection and safety. • Available with a powder-coated or a marine-coated corrosion resistant finish. • S1418.2 Compliance applies when correctly fitted with approved wire rope and fittings. • BHW models available with marine-coated Kylan finish. • BHW1200 / BHW1800 / BHW2600 also available in stainless steel. • High precision construction minimises gear noise.